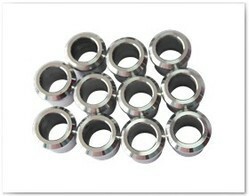 All types Of Industrial Parts and Components. Maximum Production Capacity : 10, 000 nos / Month. Material: En Series, Mild Steel, Brass , Aluminium, Gun metal , Stainless Steel, SS 210, SS 304, SS 316. Maximum Production Capacity : 10,000 nos / Month. Tools & Toolings Manufacturing Capacity - Yes. Black Electro Coated Parts and Components. Non Standard Washers and parts. G.V. Engineering Works is a 10 year old concern and re-established in the year 2016, and since then successfully catering the challenging needs of various industries across the world. We are well known as a renowned manufacturer, exporter, supplier and service provider of precision range of sheet metal and machined components. Our main focus is on ensuring flawless products to the customers, and for this we have been using only best quality raw materials which are procured from certified vendors. We are offering well engineered range of Rivets, Rollers, Metal Bushes, Shafts, Knurling Pins, Washers, Threaded Bolts, etc. These are corrosion resistant, durable, dimensionally accurate, and have high material strength. We are supported by a state of the art infrastructural facility that covers vast area and is installed with latest technology. Our production unit is equipped with hi-tech machines and equipment that are used for manufacturing quality products in the minimum lead time. All our professionals work in a coordinated manner so as to deliver best among the best. We are backed by a wide distribution network assisting us in supplying bulk quantity products to large number of clients across various countries around the world. Further, for optimum client satisfaction, we assure transparent business deals, best quality, easy payment modes and prompt deliveries.